VATICAN CITY (CNS) — Pope Francis celebrated the third anniversary of his election with a simple Tweet — “Pray for me” — and the usual Sunday recitation of the Angelus prayer with tens of thousands of people gathered in St. Peter’s Square. In his talk March 13, the pope did not mention the anniversary, but focused on God’s forgiveness and mercy as he did in his first Angelus address in 2013. 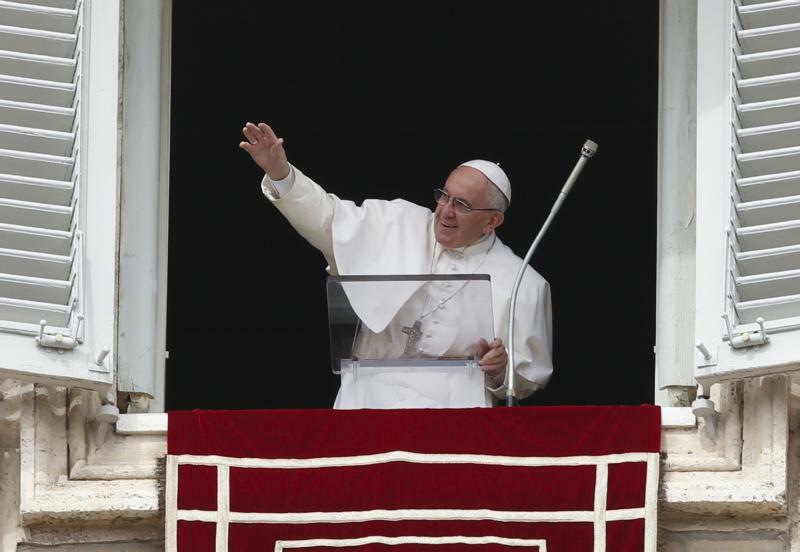 “God does not nail us to our sins; he does not identify us with the evil we have committed,” the pope told the crowd. Pope Francis’ Angelus address focused on the Gospel passage being read at Masses around the world: St. John’s account of Jesus and the woman caught in adultery. “Her experience represents God’s will for each of us: not our condemnation, but our salvation through Jesus,” Pope Francis said. At the end of the Angelus, retired workers from an Italian telephone company and members of a national association of retirees handed out a special gift from Pope Francis: “The Gospel of Mercy of St. Luke,” a small paperback edition of St. Luke’s Gospel.